​Home remodeling opens up a world of possibilities. Your home can be much more than you ever dreamed possible. All it takes is a little bit of imagination and a trusted contractor to make it all happen. What starts as an idea can become a reality. Colorado Springs Handyman provides a range of kitchen and remodeling, home addition, fencing, siding, and door and window installation services to transform the interior and exterior of your home. We work hand and hand with our customers during the design and planning process to ensure a truly personalized final product. 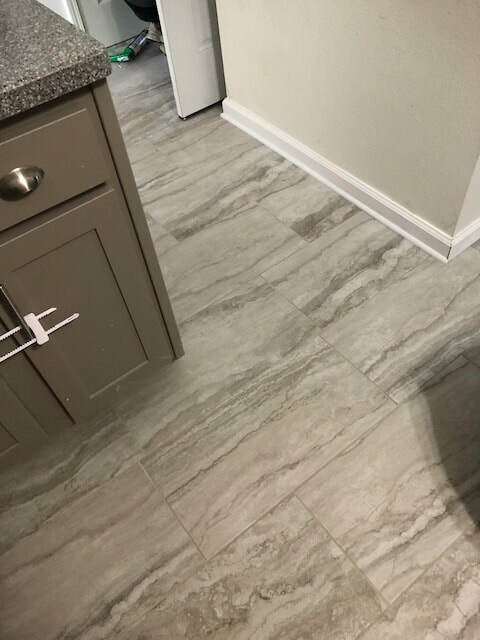 Colorado Springs Handyman is an established company founded in Colorado Springs, CO. With many years of experience in home remodeling, we are more than just your average handyman service. 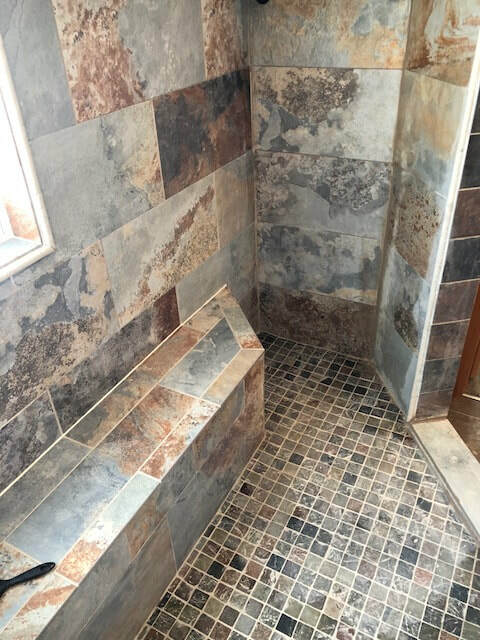 While we can skillfully repair any problem and assist with your maintenance concerns, our professionals are also second to none when it comes to full kitchen and bath remodels, siding installations, fencing, and other interior and exterior residential services. WHAT CAN A HANDYMAN DO? ​The team at Colorado Springs Handyman is made up of highly skilled professionals with expertise and experience from a wide range of fields, including carpentry and construction. They are passionate and dedicated to delivering top quality craftsmanship and 100% satisfactory customer service. We stand behind the work that we do, no matter what project we are working on. From window and door installations to a complete home addition, we are always meticulous in our work. For a full list of our services, please visit the "Services" page of our website or give us a call. There are two kinds of people in this world: those who remodel their homes every once in awhile, and those who don't. The difference between these two distinct groups of people is quite apparent and precise. The difference is that the former, in our opening statement, have a wish to constantly and consistently improve their homes, while the latter do not. We need only to ask these prestigious group of home remodelers what Home remodeling involves to have an idea of the daunting task that it presents. Well, where shall we begin? There's the creaky flooring, the cracked paneling, the tufty carpets and rugs that need replacement; the blotchy walls that need repainting; the dusty windows that need cleaning; the appliances that need to be replaced; the patchy lawn that needs mowing and fertilizing; and even the uninteresting bathroom that needs remodeling. ​Home remodeling is a giant step; and although you would do a pretty decent job planning out your home improvement to-do list yourself, you would be much better off letting a quality organization like Colorado Springs Handyman handle the implementation. Need we list our repertoire? We can say, due to our immense professionalism and quality services, we are already a household name in Colorado Springs to 100’s customers that we serve annually. 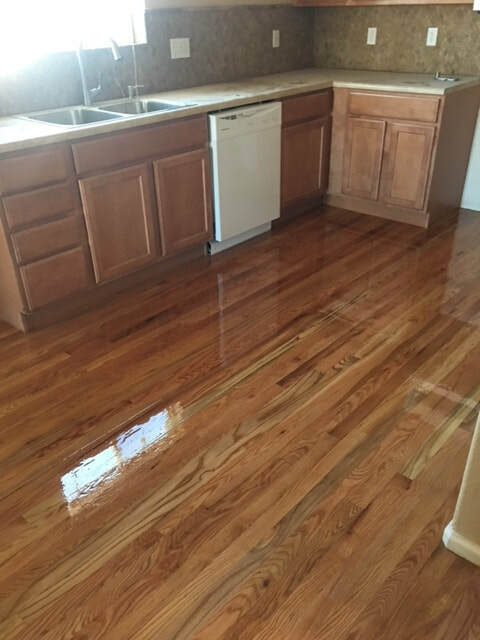 ​What's more, we have bagged a ton of experience over the course of many years; and we can say with unwavering confidence, that there is no nook and cranny of Home improvement and Home remodeling that we have not examined. 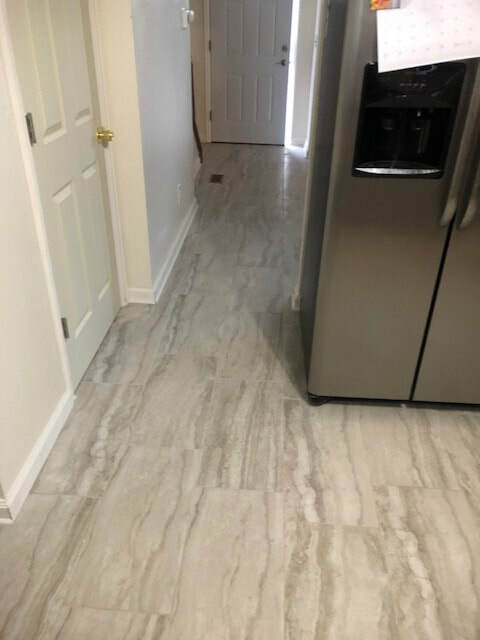 No matter how unique your home remodeling needs may be; no matter how complex and endearing they may seem, we have a savvy team of professionals who would brainstorm on the improvements that you wish to implement. The kitchen is where the real magic happens. Most of us have memories of the heavenly smells that emanate from the kitchen or the cozy feeling of cooking together with a loved one. The activities that take place in the kitchen sustain and nourish us, and keep us alive. Maybe that's why an attractive kitchen is such a selling point in a home. Our Kitchen Remodeling service can help you build your dream kitchen and get your house one step closer to being just perfect. We deliver custom solutions tailored to your unique ideas and requirements. Our area of service consists of Colorado Springs, Colorado and surrounding areas. This is where our business was created, and where we have been operating for the past several years. We are trying to grow and expand our company to help more customers, however, we apologize if we are unable to serve your area. Please feel free to inquire for more information about our area of service if you are unsure. 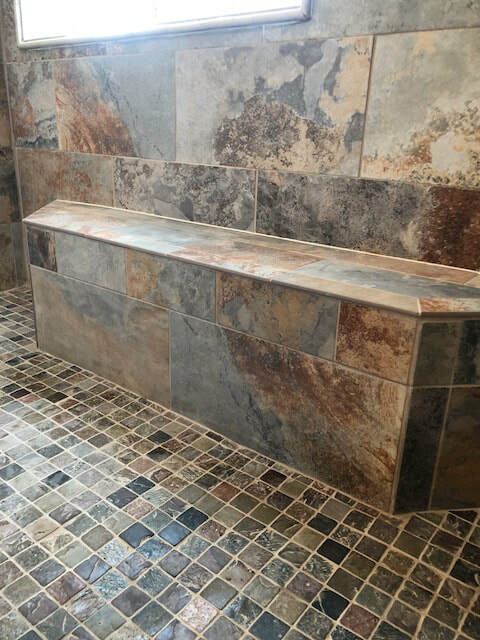 ​"I'm so happy that I was able to find a bathroom remodeling company that understood my vision and knew exactly what I was going for. It made me feel a lot more confident about what the result would be and I was right. It was perfect!" - Carl B. Fences provide security and privacy so you can enjoy some quiet time outdoors or entertain guests in a secluded environment. Quality fencing should complement the aesthetic of your home rather than detract or distract from it. 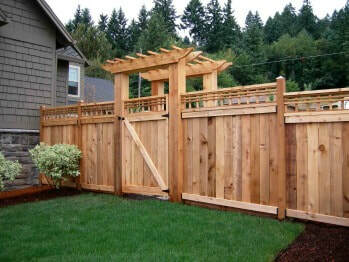 We offer professional fence installation and maintenance services for any type of fence. Wood or wire, tall or short, we make sure you have solid, durable fencing that lasts long and looks good. We are you preferred fencing contractor! Home additions create more space for you and your family, and can be custom designed to bring more functionality or practicality to your lives. Whether it is an additional bedroom for a new baby, a home theatre in the basement, or a pergola in the backyard, our team of experience handymen are prepared to help you plan out that new home addition. Our professionals ensure the addition meets all regulatory standards and exceeds your expectations. There are a range of options for the siding of your home. Different materials or types of siding offer different advantages and drawbacks. No matter what particular qualities you are looking for, however, this is undoubtedly an option that is just right for you and your home. Whether that happens to be stucco or vinyl, our team can ensure a proper, quality installation A good siding contractor in Colorado Springs is hard to find. .
​"We never thought it was possible for our kitchen to feel so spacious and glamorous based on what was there before. But after working with Colorado Springs Handyman, we now have the most amazing kitchen ever!" - Stella V.
Windows and doors may seem like small details compared to other areas of the home, but the size and type you choose can make a dramatic difference on the aesthetic and flow of your home. By letting more natural light through or providing more convenient access between the indoors and outdoors, windows and doors are both attractive and functional. To maximize their attractiveness and functionality, contact our professionals for you window and door installations. Many people do not hesitate to spend money when it comes to bathroom remodeling, and for good reason. Like the kitchen, a gorgeous and spacious bathroom can add immense appeal and value to any home. There are numerous way to transform a bathroom into a functional but attractive space that offers the promise of relaxation, comfort, and tranquility. 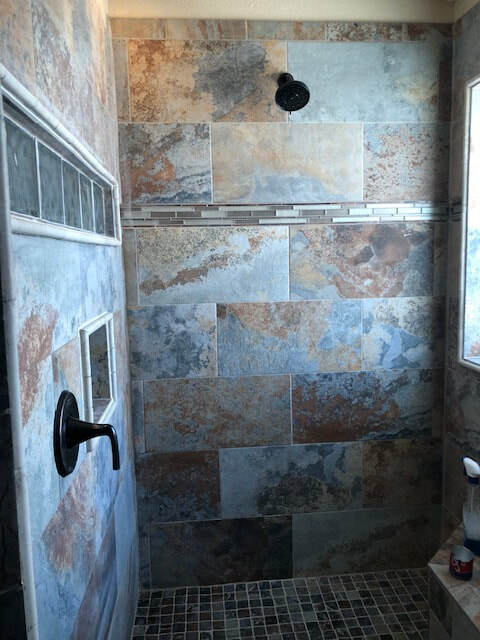 Bathroom Remodeling from Colorado Springs Handyman can help you go over your options and design the perfect bathroom for your home. ​"Colorado Springs Handyman is always reliable, professional, and knowledgeable. I wouldn't trust anyone else with my home." - Tim A. Home improvements, renovations, and repairs require a great measure of skill and getting a decent agency, contractor or skilled worker is an enormous errand in itself. Entrusting the employment to an unskilled individual or hiring the wrong man for the job can be a nightmare you would want to avoid. You could wind up with additional cost staring you in the face. You might be better off not hiring anyone. The home improvement business has developed significantly as of late from the 'simple handyman' services earlier. Home improvement agencies provide assistance and support in a great many zones relating to home improvement, home repairs and home renovation, each of which requires highly skilled craftsmen and services of the highest quality. Businesses that provide such remodeling services don't just need to have a high level of knowledge about home construction materials and their durability, house plans, building engineering and electrical details and so forth, but additionally have a complete handle of geographical locations, climate, and weather affecting particular zones or variables like bugs and irritation control and a few other minutely related points. Many handymen work all alone, setting up "office" in their own particular homes. Most of us all know a Colorado Springs Handyman or someone who can recommend a decent one for home repair services. You can also google for a handyman in your general vicinity. There are many businesses and franchises for handyman services. You can contact them if you require any repair or maintenance services at home. A handyman is a more affordable and a convenient option for little family repairs or big custom projects. A handyman is great with his hands. He is typically self-educated, and have gained experience and know-how from years of work. We can also replace your entire plumbing framework or more complicated electrical wiring. Nonetheless, you can hire a Colorado Springs Handyman to perform simple tasks like emptying storm drains, fixing a cracked fixture or putting up racks. Colorado Springs Handyman can likewise deal with more complicated errands, for example, installing a water heater or replacing rooftop shingles or building a whole house for that matter. The term Handyman or Handyperson is utilized to allude to a man with a wide scope of skills to do minor repairs and corrections around the home. These repair assignments include general interior and exterior maintenance occupations that classify under electrical, plumbing and other fix-ups. Essentially, a Handyman can be relied on to do those simple, sometimes little complex home occupations that can be categorized as DIY. A handyman is a skilled or dedicated individual. He can deal with little maintenance or big projects that the average family or person can't. Somewhere en route, to improve their odds of getting more projects and contracts especially when employment markets were seeing a downturn and putting many out of occupations, a Handyman's profile altered unpretentiously. Where earlier they were paid workers mainly attending to simple DIYs, they advanced to more intricate or skilled occupations like painting, remodeling, carpentry, furniture gathering, reinforcing and much more. They figured that it required just a little more information and willingness to embrace projects and learn at work. For the most part, a Handyman's job is viewed as super skilled specialists. In any case, the rising of home improvement agencies like Colorado Springs Handyman is being viewed as the "go-to company or technicians with a considerable amount of knowledge and multiple skills to deal with any home repair or home improvement job. The difference amongst handymen and home improvement specialists is licensing. Both can operate their own particular businesses, in any case, a contractual worker's license is required to operate as a home improvement specialist. Thusly, it might be a little more expensive to hire some random guy off the street to do the job or remodeling. Our handymen can do or build just about anything. 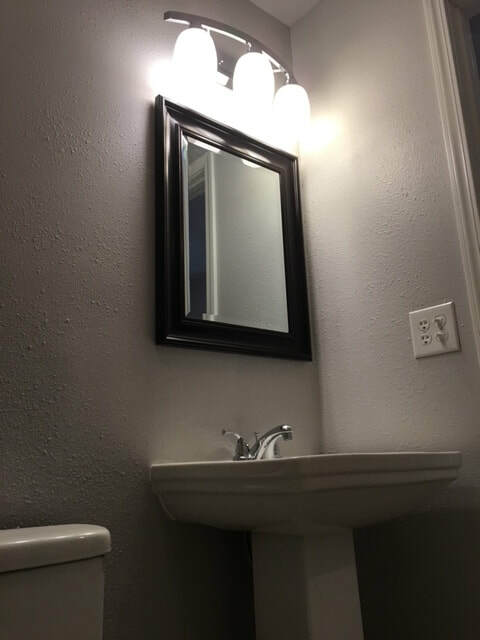 We do it all install new sinks or repair drywall, or build an addition to your home at an affordable rate. Colorado Springs Handyman is a great solution for any of your home remodeling needs. We all have that project we said we'd work on next month and now its been 6 years. Quit stressing out about it. For a fast and affordable general contractor give Colorado Springs Handyman a call at 719-626-4222 and we'll get there asap! Contact Colorado Springs Handyman Today! You can reach Colorado Springs Handyman during regular business hours. If you are directed to a voice message, it means that there is no one available to answer your call at the moment. You may feel free to leave a message or call back at your convenience. If you would prefer, we are also available to answer questions or inquiries by email. Please allow up to 24 hours for a response from us. We can provide you with a quote or book a consultation for you upon request. We look forward to hearing from you and working with you soon. 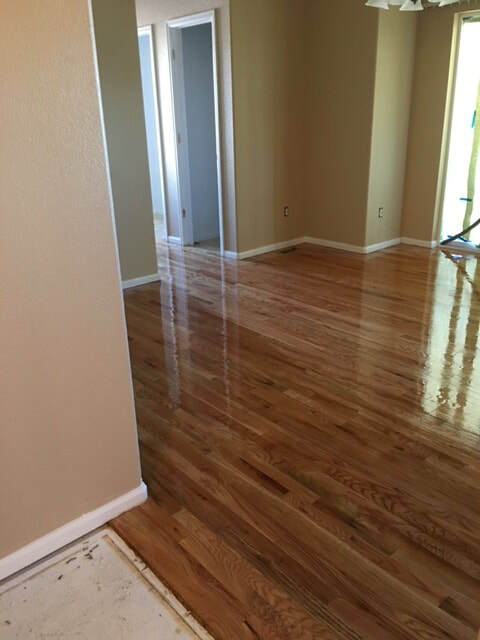 We want to thank water damage Huntington Beach for sponsoring this post.